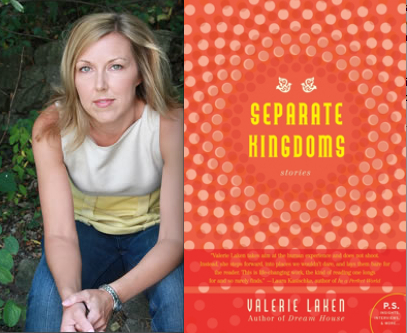 In the 12th in a series of posts on 2011 short story collections entered for The Story Prize, Valerie Laken, author of Separate Kingdoms (Harper Perennial), lays out what she thinks makes for a good story collection and tells how she went about writing a story told from two perspectives simultaneously. A good story collection isn’t anything as tidy as a box of chocolates; it’s more like a variety pack of fireworks. Sure, you recognize them all as fireworks, made at the same factory with similar techniques, and they essentially just shoot into the sky as you would expect. Even though you know they are made to explode, the explosions still thrill and shock you a little. Yet they leave their most powerful impression not at that moment of bursting but in the aftermath, as the burning shards fall toward you and then disappear. When you close your eyes, you can see their silhouettes. But in addition to that variety there should be some common ground, a larger overall impression that the stories work collectively to create. A good story collection may have greater and lesser stories, but each story will be essential to the overall impression. Common threads, however slender, should run from one story to another. 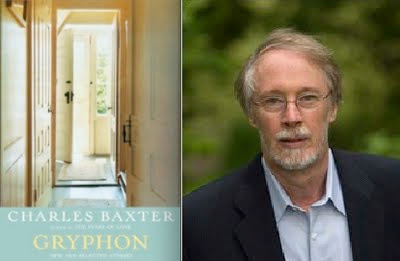 One story might extend, reinterpret or contradict the circumstances or thematic implications of another, so that the unity of impression each story creates becomes challenged, supplemented, complicated by the impressions of the stories surrounding it. Ideally, if you read a story in the context of its collection, it will leave a different impression than if you read it on its own. Otherwise, what’s the point of putting the stories together at all? This can’t be just an exercise of vanity or convenience. Which story in your collection posed the most technical problems? The title story, which is structured in two columns of scenes that run simultaneously and unbroken by section breaks, posed the most technical challenges of any story I’ve written so far. It’s set in a small home on a single night when a family of three tries to cope with an industrial accident that has left the father maimed, volatile, and very isolated. The father’s perspective fills one column while the son’s fills the other. When they hear the same noises or come together in scene, those lines have to synch up in time side by side on the page. This meant that if I added or subtracted a line from one column, I had to adjust the other accordingly – and these adjustments went on through every revision and every typesetting. This may seem a silly way to go about writing a story, but to me the form was essential to the story and ideas I wanted to convey. We all know that two characters will experience and narrate the same events in very different ways; it doesn’t take a two-columned story to show that. What I wanted to do was lay bare the isolation inherent in the fact that we may never view even small aspects of the world in precisely the same way as anyone else. And even when we do share true moments of common perspective, other factors often conspire to keep us from realizing it. It seems to me that language, art, culture, and intimacy have been our typical means of piercing that isolation and connecting us with others. Yet in our time technological devices have altered, and some might say degraded, those means of connection. Though they’re often thrilling and useful, our TVs and computers, video games and smartphones have splintered our experience of time and space, tempting and distracting us with escape hatches from every face-to-face interaction. Worst of all, they make ordinary real-time life seem awfully dull in comparison to the dazzling worlds we find on our little screens. Proust said it was the writer’s job to tell the truth about time. It seemed to me that it might take a splintered story to tell the truth about how we are living in this time. 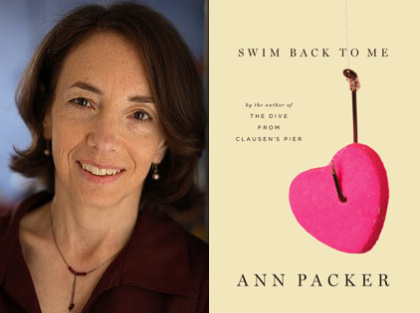 In the 11th in a series of posts on 2011 short story collections entered for The Story Prize, Ann Packer, author of Swim Back to Me (Alfred A. Knopf), runs us through her writing process. "Things Said or Done" underwent the most significant changes as I moved from a first draft to the final version of the story. The characters retained their basic identities (that in fact originate in the piece that opens the book, the novella "Walk for Mankind," which takes place 35 years before the events of the story), but their circumstances changed and no scene from the first draft survived the revision process. I don't think I wrote more drafts than I usually do, but the changes felt more drastic. I begin with very little: an image or a situation, or sometimes a voice, perhaps the narrator's or maybe that of one of the characters, speaking a line of dialogue. As I write the first draft, I start to figure out who the characters are and what they want, and as I work that out I get a sense of where the story is going. Once I've completed a full draft, I show it to a few writer friends, whose best help is sometimes just a description of what they see me trying to do. With that in hand, and with the distance I've acquired by stepping away from the piece for a little while, I begin to revise, and the analytical part of my mind becomes more active. Over several drafts I get closer and closer to a feeling of having done whatever it was I didn't at first know I was trying to do, until at last I decide I'm finished. It can take months or even years to arrive at that point, but once I've gotten there I rarely go back and start tinkering again. Cheever's stories were very important, and then when I began to get serious about writing Alice Munro became a beacon to me. 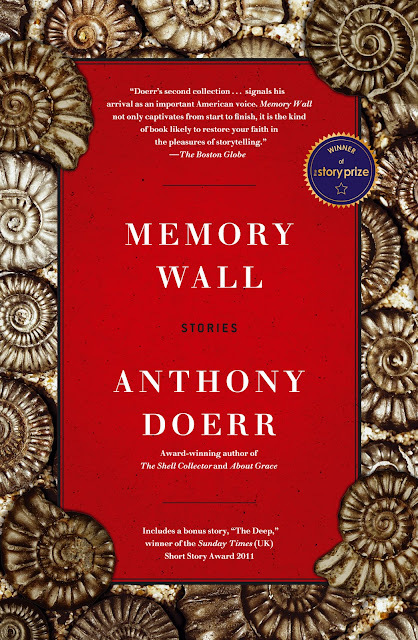 The paperback edition of Anthony Doerr's Memory Wall, which won The Story Prize a few months ago, is out. We're always pleased when the official seal for the winner of The Story Prize appears on the cover. This version includes an added bonus: the story that won the Sunday Times EFG Private Bank Short Story Award, "The Deep," which isn't included in the hardcover version. 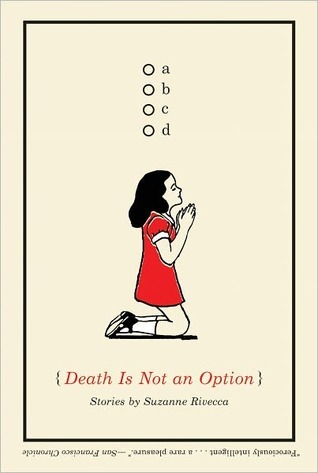 The paperback for the third finalist, Yiyun Li's Gold Boy, Emerald Girl, probably won't be out until September or so. * Here's my theory: Since Rivecca's story collection came out last year, two tiger-themed books (The Tiger's Wife by Téa Obreht and Battle Hymn of the Tiger Mother by Amy Chua) hit the market and the best-seller list, causing Rivecca's publisher to back off from the Panthera tigris image. However, I think the actual tiger content in Death Is Not an Option stacks up pretty well against the competition. In the eighth in a series of posts on 2011 short story collections entered for The Story Prize, L.E. 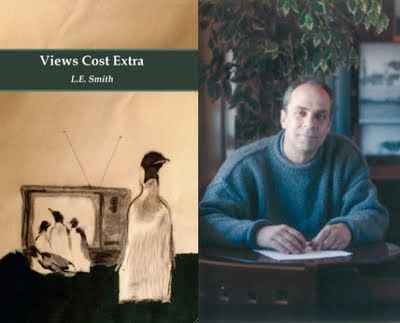 Smith, author of Views Cost Extra (Fomite), discusses voice and character. Finding VOICE is not fiction to me. It seems to me that character comes from voice, from attitude, even more than from actions committed. Anyone can do anything in this world, and probably will. Actions are erroneously described as “in character” or “out of character.” I contend that all things are possible. Everything we do is “in character.” We surprise ourselves all the time. We only seem to deal out contradiction. It is how we react to what we do or to what others do that never varies. Or that’s how I see it. So I have tried my best to establish “voice,” point of view, in my stories, as that never changes while our actions may vary widely. 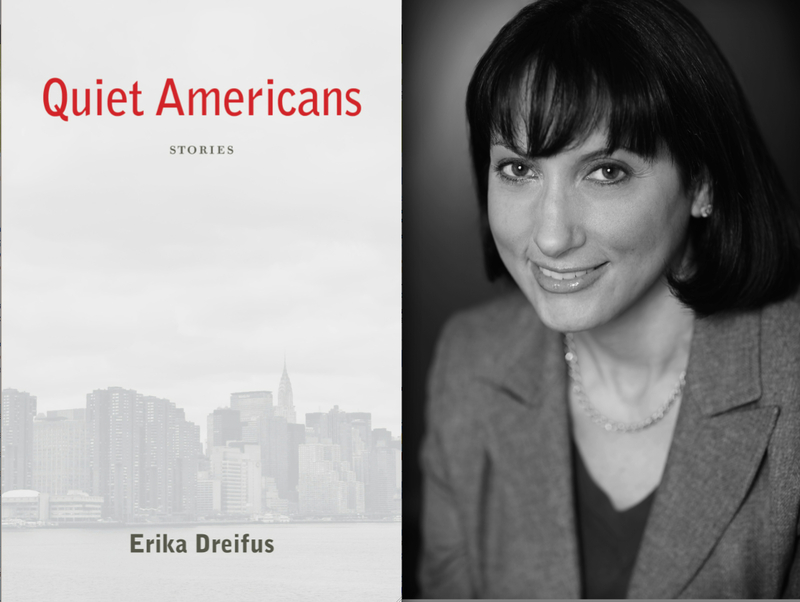 One of my writer friends who blurbed this book of stories calls me a “ventriloquist.” I think that’s right. I have a basic plot in mind when I write, but then it’s the voice that leads me to where the story wants to go. I have always had a penchant for assuming other voices. A tutorial with a frustrated English professor over the deficiencies in my essay writing in grad school pointed out my emphasis in tone over argument. I told him that my essays suggest argument. That wasn’t enough for him. The problem was that I had been asked to analyze Faulkner’s writing, which led me to assume a Faulknerian tone (entirely unavoidable when immersed in his prose) and to ask the reader to follow the implied threads of argument. The point being, I have always associated voice with message. In writing this collection of stories, I had no critic leaning over my shoulder, no patient mentor from an MFA program, no friends in a writing group, no publisher or editor eager for results. Just lots of time by myself with these characters talking to me about how they feel about things, and no idea any of what they say would ever make it into print. But once I have a voice in my head, a whole other world opens up for me to explore. I can’t resist. One of the clearest examples in this collection is the story “Murder in the Red Barn,” which I wrote to flesh out a Tom Waits song. Tom’s song, same title, is powerful because it implies so much and leaves the imagination to fill in the details. So I listened to that song a hundred times, made notes, drew diagrams, invented a southern town (yes, a little like Faulkner), but it wasn’t until I decided on an Irish narrator that the story came together: He tells dispassionately the tale of his daughter who left home for America and who has always been a killer, who liked especially, even as a child, the butchering chores that need doing around the farm. The narrators’ folksy, non-judgmental, underwhelmed response to all the terrible things that happen in this story make the tragedy seem fated from the start. Or that’s how I see it. But even more, it’s the Irish idiom that takes the story deeper and wider, because it asserts a cultural response to tragedy. An Irish attitude. At least that’s how it “sounds” in my head. 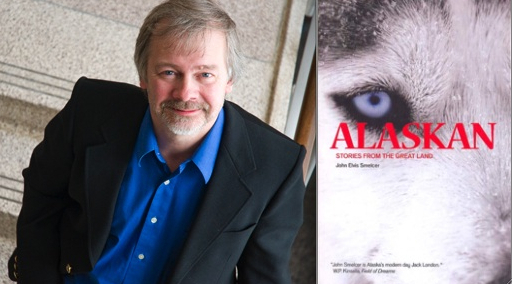 In the seventh in a series of posts on 2011 short story collections entered for The Story Prize, John Elvis Smelcer, author of Alaskan: Stories from the Great Land (Standing Stone Books) on his struggles to turn a tragic event into a story. I had the most difficulty with the lead story in the collection, "Sunday Drive." The story is based on an actual, tragic event that happened about fifteen years ago. At first, I wrote it as a poem, but the story was bigger than the confines of a single-page poem. There was more gut-wrenching drama to the story; it needed to be told more slowly, building characters that we cared about or else the ending would fall flat. Over the following years, I tried to write it as a short story, but I couldn't figure out who or how to narrate it or the proper voice and tone. Often the hardest part of writing a story is pre-writing: who tells the story, past or present tense, where does the story begin and end? Sometimes these answers only come in the writing of the thing (the end particularly). The early versions of "Sunday Drive", written at various times over a decade, always ended up sappy . . . an injustice to the reality of the great tragedy and suffering. There's another story that's been brewing in my head for about eight years. It too is based on an actual event. I've written a dozen drafts of the story, and each one has ended up in the garabage can. I just can't figure out how to tell it. But it'll come, in a dream or in a sudden epiphany. Of that I have no doubt.